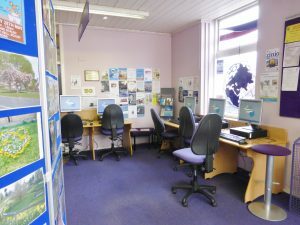 Newby & Scalby Library and Information Centre is available for hire at the rates set out below. 4+ hours £10 per hour thereafter. 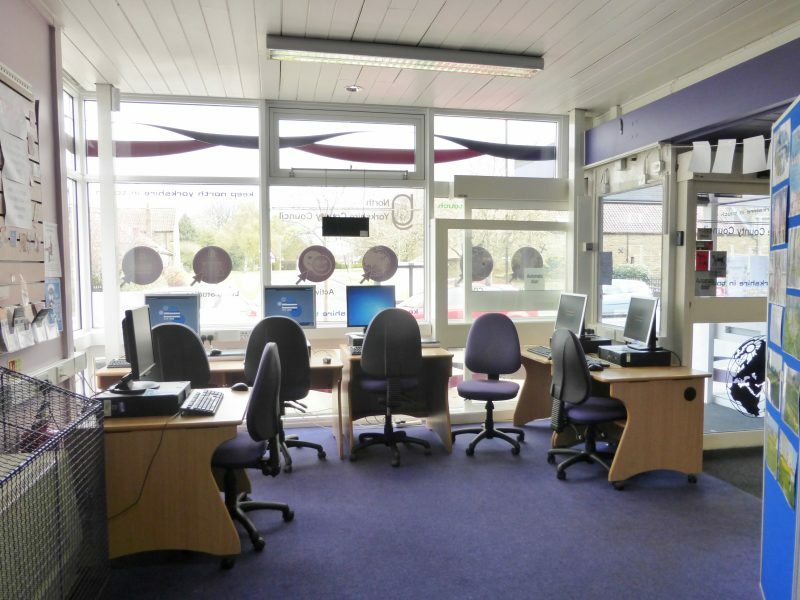 There are 12 computers available to hire, subject to availability. The charge for this will be £5 per computer. Two computers are connected to scanners. The area available will seat up to 20 people and is situated at the front of the building. You are welcome to bring a projector and there is a white, blank wall you can use as a screen. Smaller groups may wish to use the tables and chairs that are placed around the library. Prices are subject to change at the Trustees’ discretion. There is a drinks machine and tea, hot chocolate and various types of coffee may be purchased at £1 per china cup. Bottled water and biscuits are also for sale.